Instagram has come up an update of Version 5.1 for Android that brings a new look with the completely new UI (User Interface). This latest version of the app is faster, more responsive and optimized for a wider range of Android devices. The buttons have also been rearranged to make the app easier to navigate on different sized devices. Instagram for Android devices was introduced almost two years ago (April 2012) and been on the receiving end with features like tablet support, video support, auto straightening and more. This 5.1 update can be considered as the major update that brings a range of visual changes in the UI. Your profile screen now loads twice as fast, and we’ve cut the overall app size in half to increase speed throughout Instagram. We’ve simplified our visuals throughout our app, making use of valuable screen space for small devices and feature phones and rearranging our design to keep buttons within easy reach as you navigate the app on a larger device – said the company in the blog post. It also said that – We’ve worked to make sure that Instagram feels native and at home on any Android device, We’ve simplified our visuals throughout our app, making use of valuable screen space for small devices and feature phones and rearranging our design to keep buttons within easy reach as you navigate the app on a larger device. 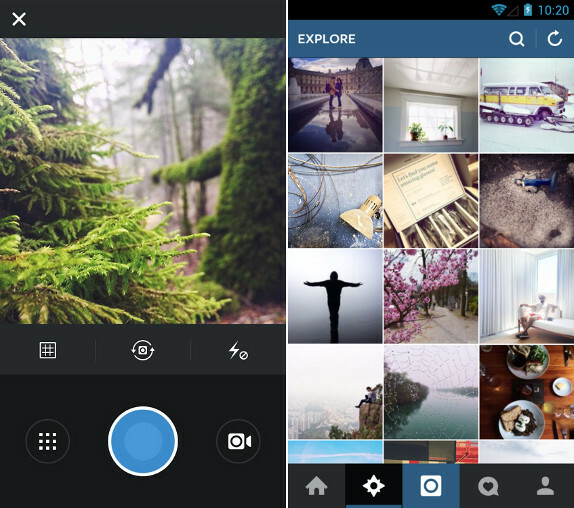 We saw Instagram getting updated on the iOS earlier that came with many new creative tool, unlike the Android update. A Spokesperson for Instagram noted that Lux tool will be coming soon for Android devices that increase the photo saturation and you can increase the level of color saturation that you wish to. So did you upgrade you Instagram? What are you waiting for? Head to the Google Play Store and download the latest update. Stay with us for more information and releases.